Sanita UK offers the European market access to a vast array of corrugated, plastic, and paper packaging, as well as consumer disposable products and jumbo tissue rolls from the Middle East. 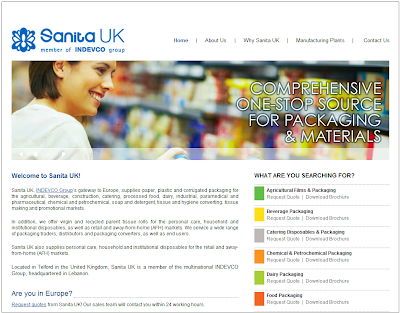 INDEVCO Group’s gateway to Europe, Sanita UK, provides a comprehensive new website helping interested parties gather information about packaging, disposable, and tissue products manufactured by INDEVCO Group affiliates in the Middle East and North Africa region. 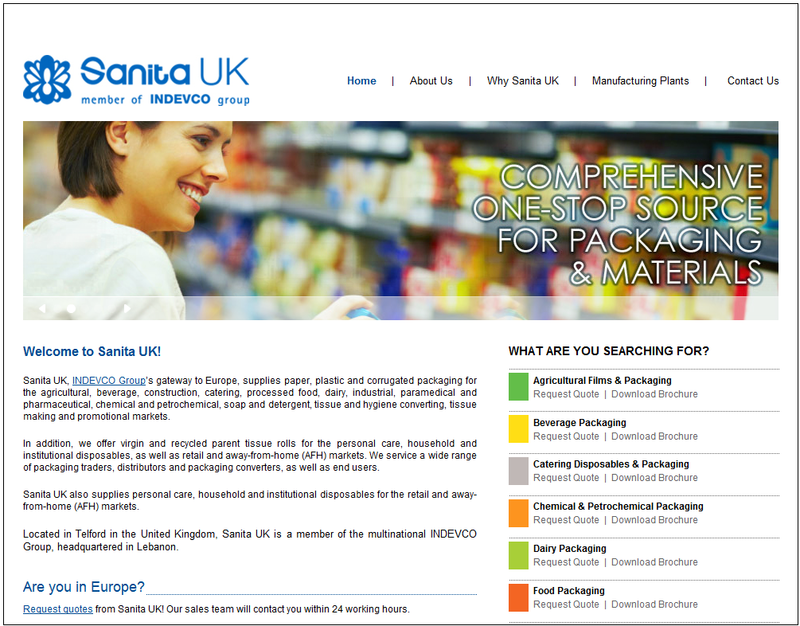 The website also contains in-depth company information about Sanita UK and its services. Website visitors can search for preferred products, view specifications and request for quotations (RFQs) which are processed by INDEVCO Lead Generation Unit. In addition, interested parties can engage in online live chat, as well as contact product experts to request more information and download brochures related to different industries. The website enables visitors to access detailed information about Sanita UK’s activities, services and clients, quality management systems, and manufacturing plants. Sanita UK’s website offers visitors the opportunity to develop business relationships and explore possibilities for collaboration through the ‘Join our team’ and ‘Contact us here’ sections. Customers and prospects can also access information about the INDEVCO Group’s plants and some of its international clients.